What combines the best of humans and machines at the automobile steering wheel? Toyota says it’s the company’s Guardian driving automation system, and that it’s so good, the automaker intends to make available to other automotive manufacturers. Toyota’s Guardian is a self-directed safety system that operates on its own and can allow a human driver to control the car, but in hazardous situations, the system takes over. Guardian accepts and carries out what the driver does and determines what the driver wants to do, while it looks for possible dangers. As a partner to the driver, the system would run continuously, monitoring and protecting the motorist. Dr. Gil Pratt, Toyota Research Institute’s CEO, describes Guardian’s function as “blended envelope control, ” and says Guardian’s goal is to amplify human ability, not replace it. 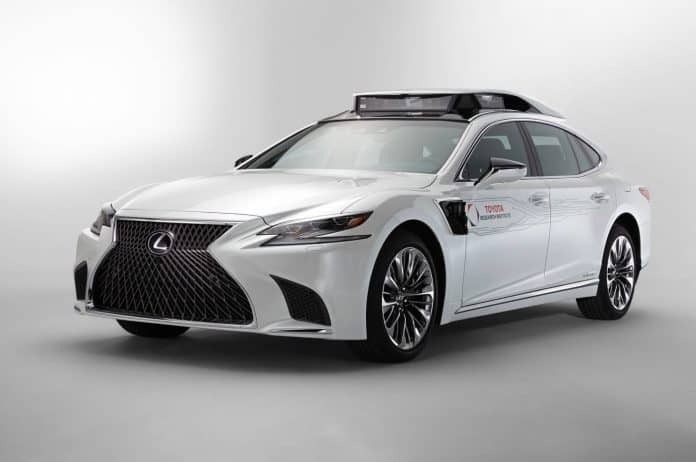 At CES 2019 in January, Toyota presented footage of a three-car crash in which another vehicle rear-ended its autonomous development car on a California freeway. Pratt asked the audience, “Could a future of Toyota Guardian have prevented or mitigated the crash that you just saw?” “We believe the answer is ‘yes’.” The automaker had recreated the event on its test track to show that Guardian could have reduced or eliminated the possibility of the collision by anticipating the danger with its rear sensors, and accelerating the car forward and away from nearby vehicles. To understand how Guardian can be a protector, drivers might consider how ABS works. When a driver hits the brakes instinctively, but too hard in an emergency, the ABS takes over and compensates for the driver error. When Will Guardian Be Available? Toyota is not sure about the details of making its Guardian technology available to other automakers. It may be done through hardware, software, or a combination. During a CES 2019 interview, Pratt said, “We have had talks with many different players, but I’m not at liberty to discuss any of those specific things.” The good news is, the future holds more options for safer driving.